Welcome to our new website. Here at Bully Roch you will find the best American Bully ever produced. We are working real hard to give you the best dogs with the best pedigrees, here in the south shore. Bully Roch is about building the ultimate *Roch'Cut Bloodline*, a vision of what the American Bully's structure and temperament should be. We wanted also to create our own style of bullies without compromising the original standard of the breed. We brought to the American Bully the look that we wanted them to carry, by doing selective breeding programs. We went to the best bloodlines in the world, to incorporate these main characteristics we were looking for to create this bloodline. We wanted our line to look like a Rock. We wanted them to be low to the ground with heavy bones, stocky structure and a head shape that look like a fresh cut into a rock. The name of the bloodline came out the way that we wanted our Bullys to look like ! Looking like a Rock written with a *H* (because of the name Bully Roch), and then the *CUT* that comes out from the shape we wanted . The appearence of the muscle lines body and facial characteristics! So that's how we created the *Roch'Cut Bloodline*. This bloodline still a work in progress... and we believe that trough out the years, it will get more and more defined and known worldwide! By Building the *Roch'Cut Bloodline*, Bully Roch had a vision of a dog that would look heavy strong but would still be the best companion with the best characteristics that should carry a home pet. They are bred to be fully functional with the best temperament a dog could have! 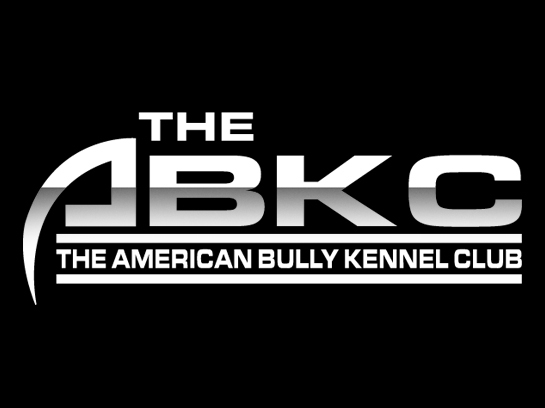 All of our dogs are registerd ABKC and UKC as American Bully. Here at Bully Roch we simply love our dogs. So under no circumstances will our dogs be bred or sold for any illegal purposes or will be sold in any 'BSL' areas.